Two major Polish retailers have let slip the release date for the Xbox 360 version of The Witcher 2: Assassins of Kings, pointing to 15th November this year. The Witcher 2 was previously revealed as coming to the Xbox 360 earlier this year when American age rating body, the ESRB, let the news. This latest news stems from Polish retailers Gram.pl and Ultima, the former of which has revealed box art for the game while the latter has named the date. Gram.pl's role is especially relevant, as the retailer used to be owned by CD Projekt. There's no sign, either from developer CD Projekt or any other sources, that The Witcher 2 will be released for the PlayStation 3. 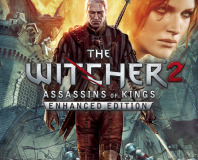 The Witcher 2: Assassins of Kings was released for PC back on the 17th May, going down very well with critics and gamers alike. 'Those who take the time to immerse themselves in the world and understand the characters will find an experience that’ll be tough to beat - not just for future RPGs, but all future titles,' we said in our The Witcher 2 review. 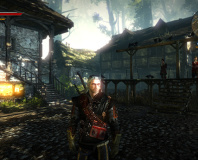 Check out The Witcher 2 trailer below, then let us know your thoughts in the forums. 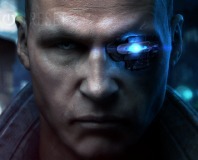 Flying World Hog has announced a new hard sci-fi shooter, called Hard Reset.